A criminal charge for Malicious Mischief involves the destruction of another persons property. The degree or seriousness level that a person could be charged in Washington deals mainly with the monetary value of the damage caused. The other scenarios that could raise the degree or seriousness lever charged deal with the type of property that was damaged, or whether the property was government property or an aircraft. A criminal charge of malicious mischief can range from a gross misdemeanor up to a Class B felony. Besides jail or prison time, an individual found guilty of malicious mischief will face large fines, restitution payments for the damage, and possibly treatment if alcohol, drugs, or mental health are involved or even anger management classes. Having a qualified criminal defense attorney fighting for you is important to protect not just your liberty but also the future impact a conviction for this charge can have on you. 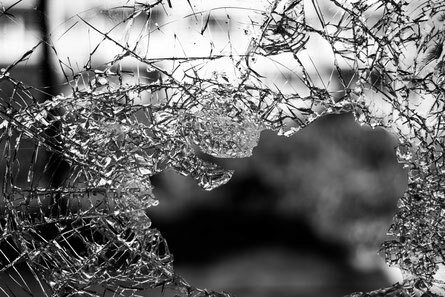 If you are being investigated for property damage or have been charged with malicious mischief give us a call today to set up a free initial consultation. We can be reached at 253-383-3328 or by e-mail at Office@WilliamAWhiteLaw.com. (2) If more than one item of property is physically damaged as a result of a common scheme or plan by a person and the physical damage to the property would, when considered separately, constitute mischief in the third degree because of value, then the value of the damages may be aggregated in one count. If the sum of the value of all the physical damages exceeds two hundred fifty dollars, the defendant may be charged with and convicted of malicious mischief in the second degree. (c) Causes an impairment of the safety, efficiency, or operation of an aircraft by physically damaging or tampering with the aircraft or aircraft equipment, fuel, lubricant, or parts. (2) Malicious mischief in the first degree is a class B felony. (b) Creates a substantial risk of interruption or impairment of service rendered to the public, by physically damaging or tampering with an emergency vehicle or property of the state, a political subdivision thereof, or a public utility or mode of public transportation, power, or communication. (2) Malicious mischief in the second degree is a class C felony. (b) Writes, paints, or draws any inscription, figure, or mark of any type on any public or private building or other structure or any real or personal property owned by any other person unless the person has obtained the express permission of the owner or operator of the property, under circumstances not amounting to malicious mischief in the first or second degree. (2) Malicious mischief in the third degree is a gross misdemeanor. If you are facing a Malicious Mischief charge give us a call today to schedule a free consultation.